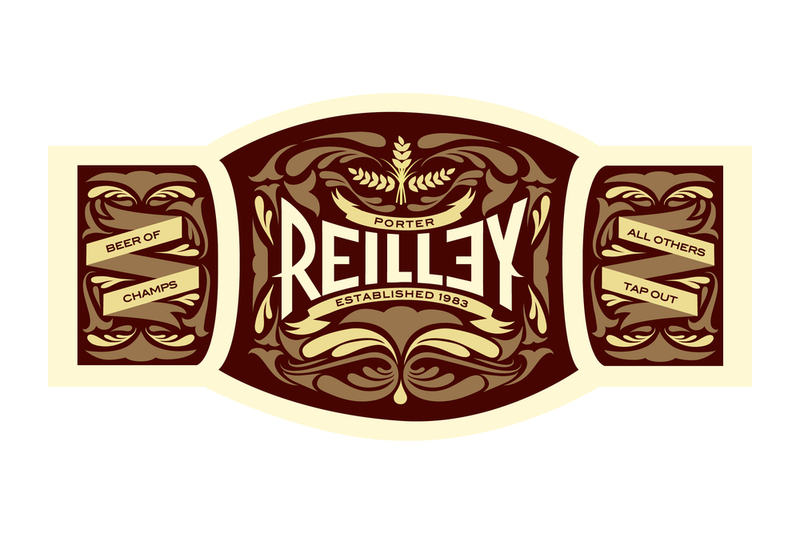 This label was inspired by Matthew Reilley, was a professional wrestler in the late 1800s. 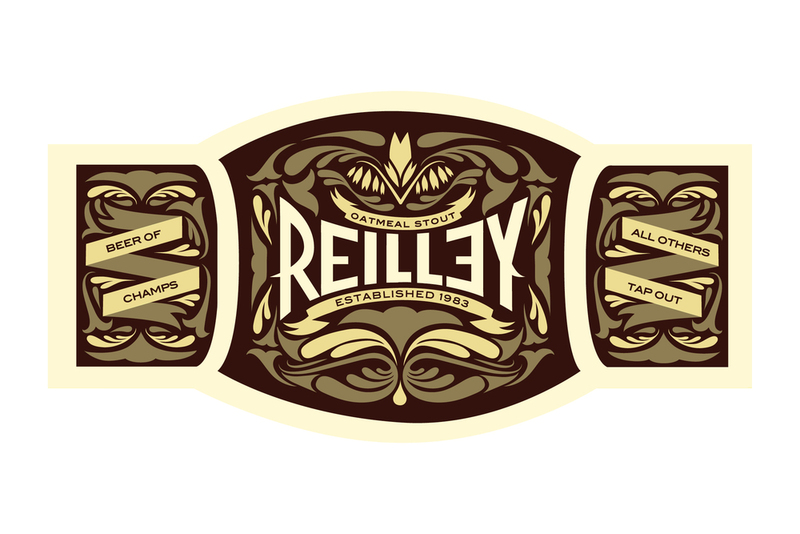 Therefore, this design is based on wrestling championship belts. These belts are typically large with highly decorated engraved gold plates. The shape and flourishes are meant to resemble the decorative elements of these belts. The colors used are based on the flavors of each individual beer. For example, porters are dark and sweeter in flavor, so a reddish brown is used.